Laundromats and dry cleaners, meet your match! There’s nothing worse than being halfway through with your wash when you stumble upon that “dry clean only” tag. No longer do you have to hang your head in defeat – just head over to Spin Central Laundromat at 24 Franklin Street in Belleville, one of New Jersey’s only laundromats that also offers dry cleaning. Unique to the competition, Spin Central offers an experience unlike any other in that it has truly created a one-stop shop for all your washing needs. Sure, you’ve always had to separate the lights and the darks, but now there’s no need to split up your best suit from your favorite pair of sweats. With so many choices, it’s impossible not to find a deal that suits you—and your suits—best! Spin Central offers a little something extra for its customers, as well as bringing a touch of home to your washing experience. Flat panel TVs cover the walls for your viewing pleasure and free Wi-Fi makes sure you don’t miss an e-mail or a witty Walking Dead meme. The fine attendants at Spin Central are also expertly trained to wash, dry, and fold any and all of your garments. They are always there to help, all you have to do is ask. Belleville’s Spin Central Laundromat has solidified itself as the premiere laundromat in New Jersey. 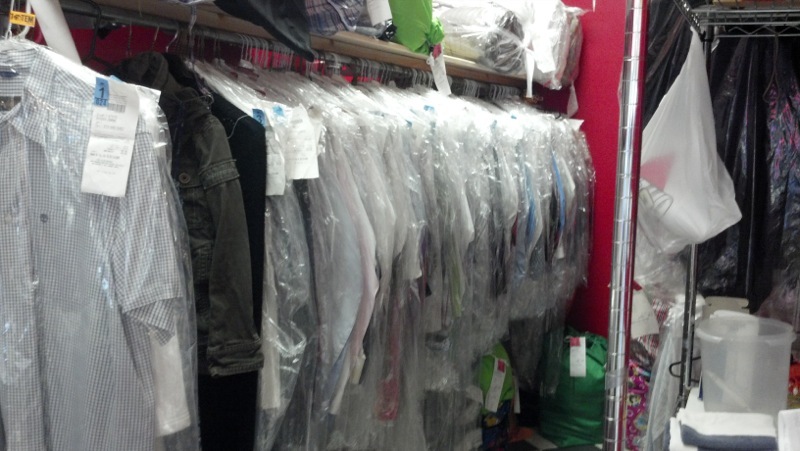 Where else can you get your laundry and dry cleaning done in the same place? Now that’s convenient! Stop by Spin Central Laundromat at 24 Franklin Street in Belleville, NJ and experience all the joys and comforts we offer. We guarantee you’ll be wisk-ed off your feet!